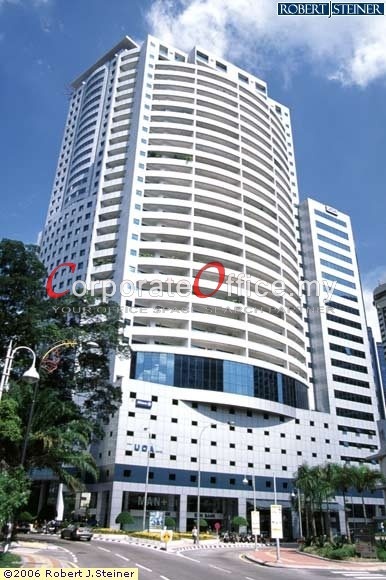 Wisma UOA Centre is a freehold commercial tower nestled in the heart of KL city centre. It is located along Jalan Pinang next to Wisma UOA II. It comprises of two 33-storey office buildings with 139,572 sf of lettable area. There are 6-level of car parking space with total of 208 car park bays (1 basement level and 5 levels above ground). Wisma UOA Centre is finely located in the commercial hub of KLCC enclave. It is meters away from Petronas Twin Towers and Kuala Lumpur Convention Centre. It is surrounded by several other high-rise buildings namely Menara Perak, Hotel Crowne Plaza Mutiara, Grand Hyatt, Impiana KLCC Hotel & Spa, Menara Maiwp, Etiqa Twins, 3 Kia Peng, and Menara Pinang. Besides that, Wisma UOA Centre is nearby several amenities and facilities. It is meters away from KLCC Park, and also within walking distance to Suria KLCC and Pavilion for shopping and leisure. It is just 450 meters away from the famous Jalan P Ramlee entertainment hub that locates plenty of top clubs such as Modesto, Nouvo, The Beach, Rum Jungle and Zouk. There are several restaurants can be found in the area such as Bon Ton Restaurant, Seri Melayu Restaurant and Grand Modesto’s. Jalan P.Ramlee, Kuala Lumpur, Wilayah Persekutuan, 50250, Malaysia. No. 80, Jalan Ampang, KLCC Area, KL Golden Triangle, Kuala Lumpur, Wilayah Persekutuan, 50400, Malaysia. 303 Jalan Ampang, Kuala Lumpur City Centre, KLCC Area, Kuala Lumpur, Wilayah Persekutuan, 50450, Malaysia.